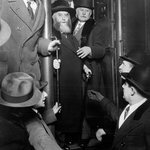 The 12th and 13th days of Tammuz mark the festive days of liberation1 of the Previous Lubavitcher Rebbe, Rabbi Yosef Y. Schneersohn. He had been arrested in the Soviet Union in the year 5687-1927 for spreading Torah and strengthening Judaism. Why did the Rebbe speak of the “strengthening of Torah and Judaism” when “Judaism” encompasses the study of Torah and the performance of mitzvos ? It would seem that the “strengthening of Judaism” would have sufficed. Also, why did he use the term “strengthening” rather than the expression he used elsewhere in the missive, namely, “spreading Torah”? In its simple meaning, “Judaism” refers to the general conduct of Jews as Jews. It is therefore necessary to emphasize that “Judaism” means more than the way in which Jews have conducted themselves throughout the ages — something that may mistakenly be ascribed to man’s imagination or creativity, Heaven forfend. Rather, “Judaism” is entirely composed of the performance of the dictates of Torah given to us by G‑d on Sinai. This, then, is the meaning of the phrase “strengthening of Torah and Judaism.” Before strengthening Judaism, it is necessary to bolster the recognition that it is Torah alone which dictates what Judaism is. It is not the province of man to say that certain things in Judaism are obligatory, while others are not. From the above it can be understood that he who takes the stringencies and customs enacted in later generations lightly, thinking they are “the work of man” and thus not vital, is not only lacking certain details of “Judaism,” but is in fact opposing something essential to Judaism as a whole, namely, the realization that none of it is the work of man. Rather, each and every detail is revealed by G‑d through His servants — the Jewish Sages of each generation. Were the “strengthening of Torah and Judaism” to be achieved only in a city full of Sages or the like, the process would not need to be emphasized, for all the residents of such a place are surely aware that the essence of Judaism consists entirely of G‑d’s Torah. But since stress was placed on a strengthening in “each and every place according to its characteristics,” it becomes necessary to emphasize that Judaism remains exactly the same under all conditions, at all times, and in all places. Based on Likkutei Sichos, Vol. XXXIII, pp. 145-146. On the 12th of Tammuz, the Rebbe was informed that he was free. The actual documents of freedom were handed to him on the 13th of Tammuz. Printed in Sifrei HaMaamarim 5688, p. 146; 5708, p. 263; Igros Kodesh Admur Rayatz (Vol. II, p. 80). See Tosafos, Menachos 20b, s.v. Nifsal; Rama, Yoreh De’ah 376:4. See also Yerushalmi, Pesachim 4:1. See Rambam , Hilchos Mamrim ch. 2. See Megillah 19b; Yerushalmi, ibid. 4:1; Yerushalmi, Peah 2:4; Shmos Rabbah end of ch. 28, ibid. beginning of ch. 47; Vayikra Rabbah , beginning of ch. 22, et al. See also Likkutei Sichos, Vol. XIX, p. 252 fn. 21. These essays were first published in monthly collections entitled From the Wellsprings of Chasidus. Each volume covers a complete cycle of the Torah readings, presenting concise insights and ideas for year-round learning.